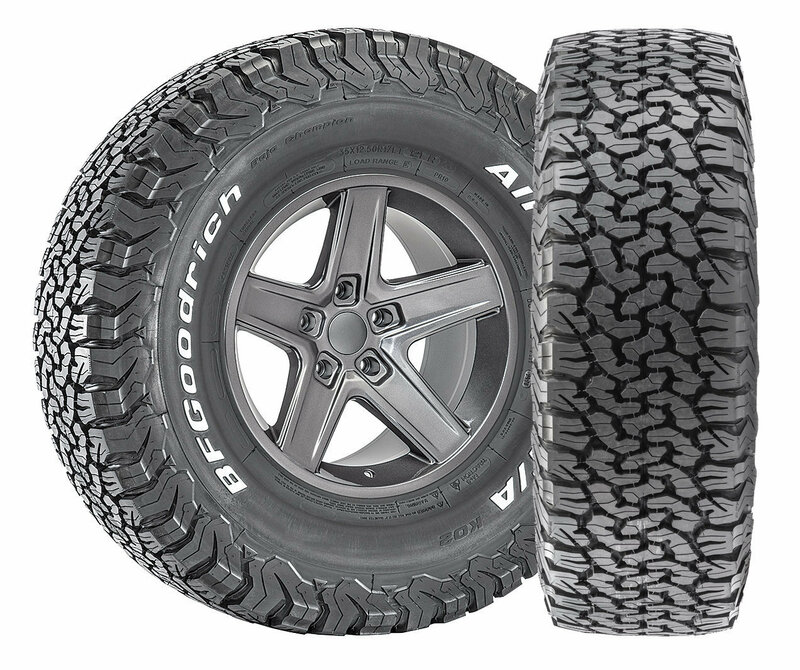 Quadratec is offering a Closeout Special on 5 BFGoodrich All-Terrain T/A KO2 Tires mounted and balanced on Mickey Thompson SD-5 Wheels. This kit comes ready to bolt onto your Jeep! 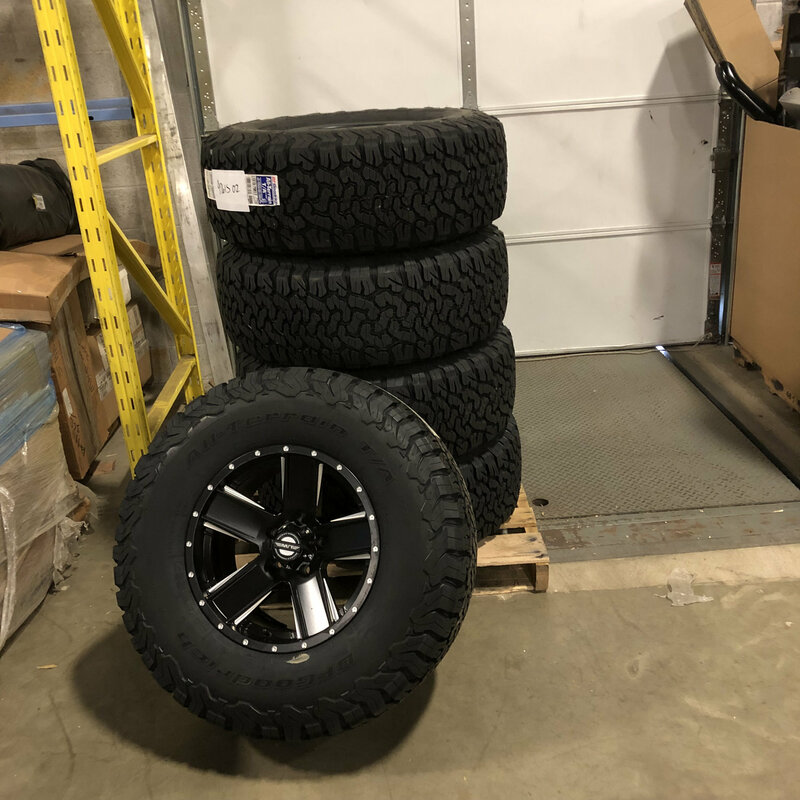 Looking for a way to compliment those accessories on your vehicle, well look no further than the Mickey Thompson SD-5 Wheel. 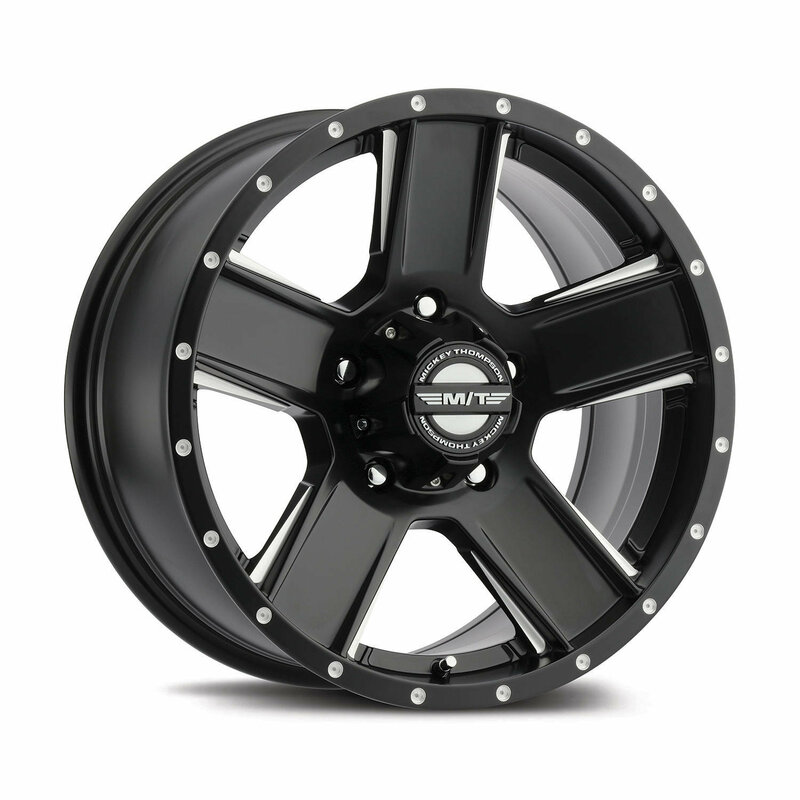 This diamond cut face in satin black with milled accents adds an aggressive and stylish wheel upgrade. This wheel is drilled out to 5x4.5 and 5x5 lug pattern vehicles. Bolt Pattern: 5 on 4.5", 5 on 5"